Keeping in view the interest of sugarcane farmers, the Cabinet Committee on Economic Affairs chaired by Prime Minister Narendra Modi has approved the Fair and Remunerative Price (FRP) of sugarcane for sugar season 2018-19 at Rs.  275/- per quintal for a basic recovery rate of 10%; providing a premium of Rs. 2.75/qtl for each 0.1 % increase in recovery over and above 10%. The cost of production of sugarcane for the sugar season 2018-19 is Rs. 155 per quintal. This FRP of Rs. 275 per quintal at recovery rate of 10% is higher by 77.42% over production cost thereby ensuring the promise of giving the farmers a return of more than 50 % over their cost. Keeping the expected production of sugarcane in the sugar season 2018-19 the total remittance to the sugarcane farmers will be more than Rs. 83,000 crore. 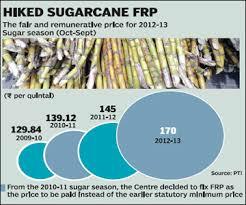 The Government through its pro-farmer measures will ensure that sugarcane farmers get their dues in time. The FRP so approved shall be applicable for purchase of sugarcane from the farmers in the sugar season 2018-19 (starting w.e.f. 1st October, 2018) by the sugar mills.The sugar sector is an important agro-based sector that impacts the livelihood of about 5 crore sugarcane farmers and their dependents and around 5 lakh workers directly employed in sugar mills, apart from those employed in various ancillary activities including farm labour and transportation.